Thanks for your feedback! We are so happy to hear you had a great time on our tour with our awesome guide Scott! 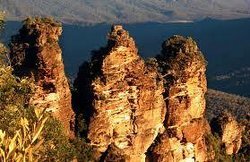 We hope you can take home some wonderful memories of Aussie culture and nature! Booked this tour with my wife. A great experience all around. The activities were very fun and exciting. Lunch was good, little bit small in portion size. The best part of our trip was our guide Scotty. He was very entertaining, extremely knowledgeable and absolutely friendly. You’re lucky if you get him as you tour guide if you book this. Thank you for your great feedback! We are glad you had a great day on our tour exploring some Aussie attractions with our friendly and informative guide Scott! Excellent trip. The tour guide was amazing. He went above and beyond to make us have a wonderful tour. Thank you for your review! 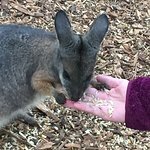 We are so happy to hear you enjoyed your day out with us! 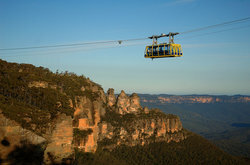 If you want to do something breathtaking in Sydney, do this Blue Mountain tour. It is amazing. Ask for Robert as your tour guy. Robert is full of knowledge, has some good jokes and lovea his country. We will definitely will be back for more. Thank you for your great feedback! We are so happy to hear you enjoyed the day with our informative and entertaining guide Robert, and we really hope to see you again! We had a great day visiting the Blue Mountains, along with a performance at the Aboriginal Culture Center. 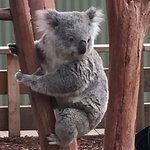 However, the highlights were the Featherdale Wildlife Park (incredible collection of birds along with Kangaroos and Kualas) and the river cruise back to Sydney. A good value for your money. 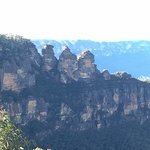 We were staying in Sydney for 3 days and decided to spend a day going to the blue mountains, as it's highly recommended. We started our day at 7am, where we got to in a bus to drive over. Our tour guide was Ian and he was an absolute BLAST! He was able to give amazing commentary that wasn't just a repeat of what you might find on a quick Google search or on a description post at the sites. He gave us some truly insightful information since he's a native and has been doing this same tour for over a year. 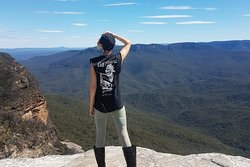 We went in the winter so it was chilly but still worth it for the incredible views. Highly reccomend this to everybody, with kids, as a couple, or even by yourself. They know how to make you feel welcomed and we had a pretty diverse group so we got to meet people from all over the world!! 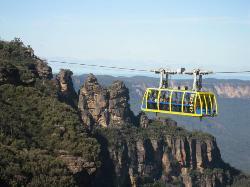 So we started in Sydney at 7am, went to the blue mountains and enjoyed scenic world and its attractions. Traveled to the 3 sisters observatory and got a show to watch a performance by the local tribe, then enjoyed lunch nearby. 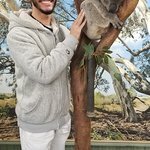 Next was a visit to the zoo where got to pet and take pictures of koalas and dingoes! 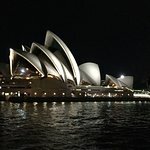 Finally we concluded the evening near Sydney Olympic park, and took a river cruise at night back up to Sydney harbor and docked at both Circular Quay and Darling Harbour!